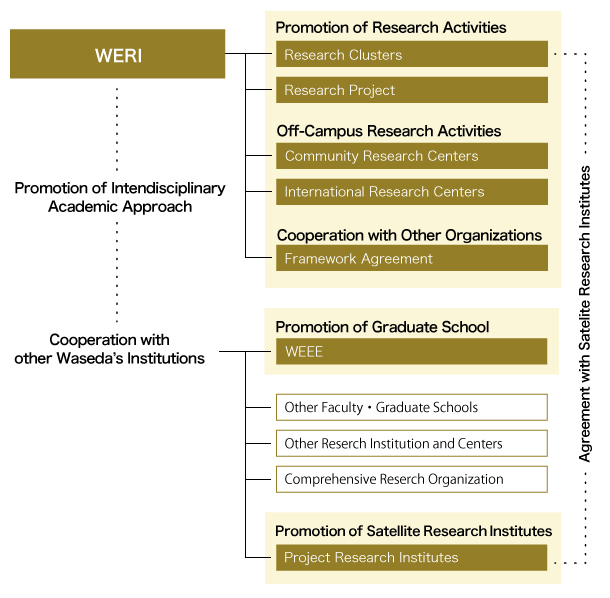 The Waseda University Environmental Research Institute (WERI) was founded in July 2002 with the objective of contributing to the solution of environmental challenges that in a regional basis or global basis are becoming greater in scale, complexity, and severity day by day. The Institute has been engaged in multidisciplinary research targeting solutions to these challenges under the leadership of faculty members from the Graduate School of Environment and Energy Engineering, of the Faculty of Science and Engineering. The characteristic of the approach to research at the Institute is an emphasis on the “3G’s,” namely the field (genba), original (genbutsu) and reality (genjitsu). At the same time as the evolution of science and technology has vastly improved our lives in material ways, as a result of the high level of world consumption of resources and energy in the process of social and economic activity, we have come to face a multitude of dilemmas through the problems that have been raised in the areas of the environment and resources. It is of great importance to approach these issues from a diversified standpoint. What is necessary is to have a multifaceted viewpoint that encompasses a spatial viewpoint of the interconnected components of our biosphere, namely Nature, cities, rural communities, forestland and so on for the nation as well as for Asia and the world; a historical viewpoint that extends from the past and present of environmental issues into a future of sustainability, and a viewpoint of cultural, customary behavior and lifestyle nature that includes the diversity of industry, social and economic systems, legal systems, and policies. Given the juggernaut of world population growth and its accompanying growth of global consumption of natural resources in accompaniment to the development of economies and industries, environmental warming must be seen as going beyond being a regional issue to one of global scale. This is a matter of the utmost urgency. But it is insolvable unless we add the citizenry to the cooperative combination of industry, academia, and government to the analysis of problems and development of measures that reflect the positions of each of these groups. Necessary indeed is multidisciplinary approach that both brings environment-related studies to a higher level and goes beyond their traditional definitions. Further, in order to bring to the intelligence and wisdom of the areas of the natural sciences, liberal arts, and social sciences the methods of engineering. It is the dedicated purpose of the Institute to serve society through practical studies in a university that is “open” and is “evolving” and that makes use of graduate students (the researchers of the future) as well as researchers and organizations outside of the university. We encourage, welcome, and appreciate the efforts of all those who agree with our views and can participate in and benefit from our activities. Waseda University established the Environmental Research Institute on July 1, 2002 as a research institute to carry out advanced research and development in response to the global environmental issues of the 21st century. 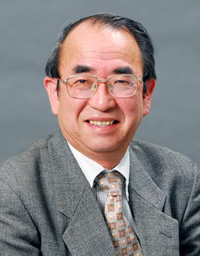 In cooperation with institutions both on- and off-campus, it develops opportunities for practical education and research conducted jointly with the public (consumers) and industry (corporate citizens), including the urban communities of the Honjo area, and carries out activities toward realization of a recycling-based society enabling sustainable growth. WERI carries out research based on the following five fundamental concepts. Fusing of human resources, methods, and systems from a wide range of fields. Based on the idea of co-creation, the use of collaboration by four types of citizens (consumers, corporations, public administrators, and academicians); with additional participation from abroad when required or useful. Based on solid understanding of problems in the real world; offers practical solutions through demonstrations that are attuned to the needs at the time and are path-making in new areas of research and education. Neutrality assures objectivity in research and earns the trust of society, whereby greater assurance that research results can be utilized is obtained. Use of academic achievements, R&D results, development and application of technology and methods, are expected to have practical applications. <<https://www.waseda.jp/fsci/weri/en/>> doesn't support your system.